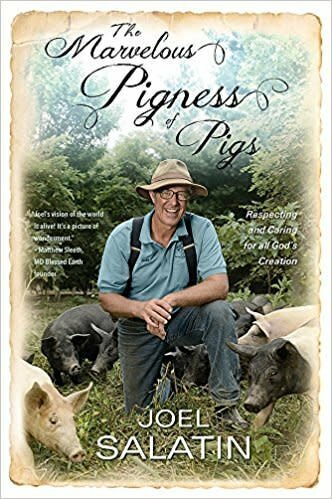 Respected and successful Christian ecological family farmer Joel Salatin knows that every living organism has a God-given uniqueness to its life that must be honored and respected. God intended for us to respect and care for His gift of creation, not to ravage and mistreat it. When huge corporate farms confine pigs in cramped pens, inject them with antibiotics and feed them herbicide-saturated food simply to increase profits, they are not respecting them as a creation of God. Salatin shows us the long-overlooked ethics and instructions in the Bible for how to eat, how to shop, and how to think about how we farm and feed the world. With warmth and with humor-but with no less piercing criticism of the industrial food complex-Salatin brings readers on a fascinating journey of farming, food, and faith. Readers will not say grace over their plates the same way ever again.